As one of the leading providers of residential and commercial appraiser services in the Sugar Land market area, our certified appraisers can help you with valuations for both private and lending use. Our goal is to provide a fast, accurate and effective valuation report that serves our clients needs exactly. Not only do we deliver our reports faster than most other appraisal companies, we maintain some of the lowest costs for appraisal services in the area. We only employ appraisers that are local to the Houston area and familiar with its various markets. Our staff is capable of performing assignments for residential, commercial or mixed-use properties. For commercial assignments we only employ Texas Certified General appraisers with at least 10 years of experience in the Houston market. 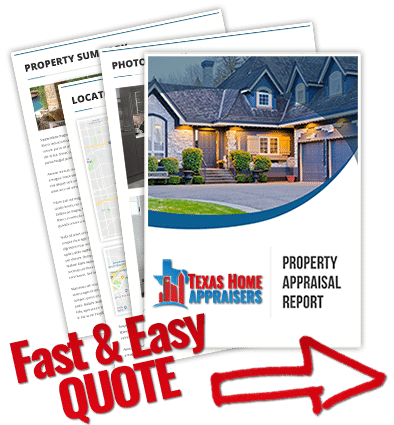 Do you need a residential houston house appraisal now? Dial us directly or fill out the online quote form and a member of our staff assist you right away. How does the appraised value of my home affect my real estate taxes? A tax assessor researches recently sold homes to determine the appraised value, they do not rely on the most recent appraisal. Due to local tax authorities being a government entity that can directly affect the appraisal process, appraisers must comply to any questions local tax authority may have. A private appraisal is solely for the use of the individual and isn’t shared at any stage with outside parties unless deemed for the benefit of the individual, such as an opportunity to contest tax values. What is the difference between an appraisal and a broker’s price opinion (BPO)? Appraisals are much more comprehensive and consider more data points than a broker price opinion. An appraisal is prepared as a result of a set fee which cannot be based on the outcome of the appraisal, or the property value. A certified appraisal report can only be completed by an appraiser with proper state certifications. A comparative market analysis or broker’s price opinion is an informal estimate of market value, based on comparable sales in the neighborhood, performed by a real estate agent or broker. The biggest factor in determining the difference between the two is the motivations for each professional. While appraisers must be impartial and disconnected from the valuation and sale of the property, brokers are typically looking to obtain a listing and earn a commission. This could lead to undue influence on the Broker’s opinion based on the desire to gain a client. The appraiser is just interested in completing the assignment and getting paid. The delivery of a well researched and reported appraisal valuation is the appraiser’s only other concern. An appraiser should determine the scope of work, follow through with an inspection, and provide an opinion of value to the client. Permanent fixtures, such as granite countertops, hardwood floors, sinks, lighting, and plumbing are given more weight in an appraisal due to them being fixed to the property. (MLS) Multiple listing service, local tax records, google maps, and other online data services help to support an appraiser during the appraisal process. The appraiser estimates the square footage (GLA – gross living area), by measuring the exterior of the home. It’s imperative that an appraiser accurately measures and takes out any non-living areas to ensure that the GLA is correct. It’s not typical for a client to need to provide any documentation for the appraiser to complete his/her assignment. The contract for sale is the one item an appraiser will want to review, if applicable. Certain conditions such as sellers concessions and allowances may need to be considered by the appraiser. You appraiser could also be assisted by any of the following documentation: A property survey of the house and property. A deed or title report showing the legal description. A list of personal property to be sold with the house if applicable. A list of recent improvements & cost as well as any other information you feel may be pertinent. A copy of the original plans & specifications is another items that is almost always helpful to an appraiser.